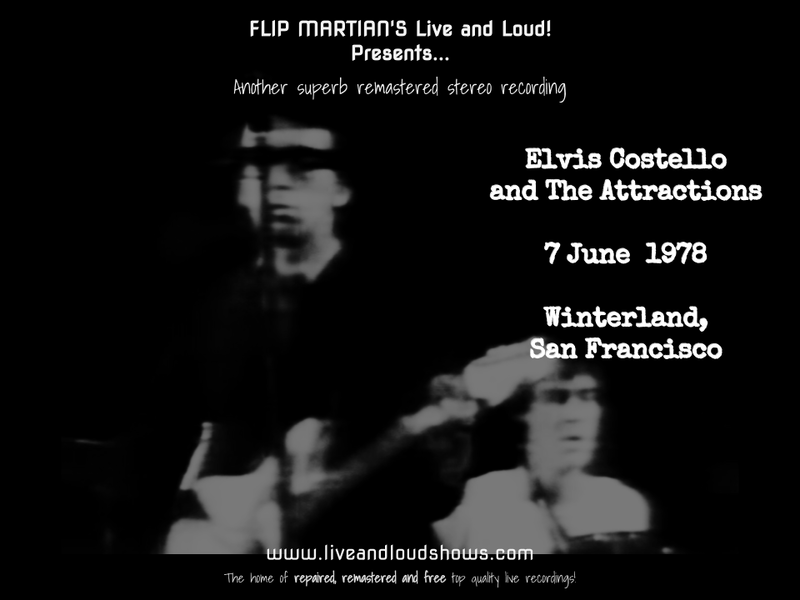 An excellent gig from the last night of their USA tour in the middle of 1978, originally recorded from a pre broadcast master so was a pretty clear recording (for once), albeit rather bass light and middly. So for the most part, this just involved 30 band EQ to remove a slightly harsh top end and to bring back the lower end, which was a bit lacking (you could barely hear the bass at times) and to give the instruments and vocals more of their own space in the mix. What's left is a really good and clear record of an energetic performance on the last night of the US tour. You can download this improved recording for free here as 1 MP3 file. Or, if you would like to support the site with a very small donation and in return receive separate, properly tagged MP3s, or lossless files in FLAC format, head on over to the Donations tab to see how you can do this.